We had vegetable pakoras and aubergine one of the best I've ever tasted!???? Very friendly staff, nice ambiance. The food was good and authentic. The only disappointment was the naan, which wasn't freshly made. I would recommend this place for you indian food cravings! Very nice food in this tiny restaurant of passage Brady. We order two curries, a rice and a nan and that was plenty for two. I wanted my dish spicier so the waiter kindly brought fresh green chilies. Scrumptious ! I would certainly go back. Really good value for money ! And pleasant service ! Location, food, service was greatttt. I totally recomend. I was with my family and was easy to please everyone. One of the best restaurants in Passage Brady (and there are many!). It was difficult to choose from the huge range of delicious dishes on Yasmin’s menu, but we finally went for the Chicken Shahi Korma and the Lamb Shaslik Nawabi. Perfectly spiced, they did not disappoint! The cardamom lassi is also worth a try. We’ll be back! Nice atmosphere, delicious food and sincere service! Delicious food and friendly service! Recommend!! 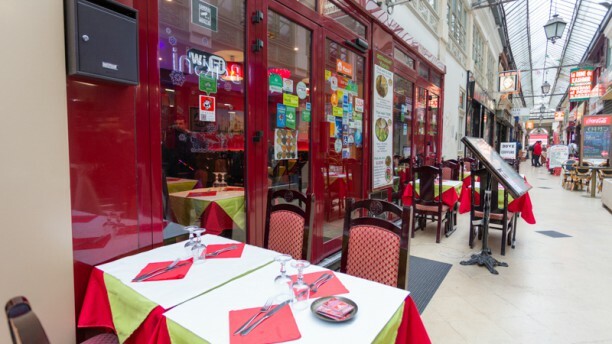 Wonderful welcome, great service and tasty food at this cosy restaurant in the trendy 10th arrondissement. The food is good but if you like it spicy you will need to ask them to 'spice up' the food. Highly recommended is the tandoori chicken sizzling straight from their oven, or the giant gamba shrimp which are out of this world.